To the non technical person and the technical person alike, passwords are a hassle in todays tech filled world. Take me for example, I use no less than three password repositories to manage a minimum of 343 passwords. Some passwords are coupled with security questions, some with encryption keys, others use two factor authentication and even app specific passwords. Today I want to cover two of these methods and briefly discuss the meaning/possible issues surrounding them. A password is the primary factor in security today. It is the key that opens the lock on the front door of your data. In basic security terms it constitutes “something you know”. When working to achieve a more secure environment multiple factors reduce the likelihood of a breach. In most secure environments the factors include things like “something you know” like a password, “something you have” a key fob or iPhone, and “something you are” a fingerprint or retina scanner. Although it may seem overkill, it’s really essential to add those extra layers to unlock that door. The first one we will cover today is two step. This is a bit older method that is used by apple to keep your Apple ID private. The two steps include your password as well as an encryption key that is given to you at the setup of two step. Once this key is shown, it will not be shown again. The downside to this is obvious. If you loose the key then your account will be locked. I have seen a client locked out of an important Apple ID before. They lost the key and were unable to retrieve their Apple ID. It was the primary and an administrator for an Apple School manager account. It was devastating to loose as the client was forced to start over with a new ID and new portal. The more modern option introduces an actual second factor to the process covering the question of “something we have” as in your iPhone, iPad, or Mac. This method of securing your Apple ID will send a push notification to all of your integrated devices and give a unique 6 digit code as the second input after the password is given. This method while not perfect is preferable and quite a bit more secure than the former. The consequences of not stepping a two factor on an apple device is rare but can be devastating. The attacker will login to your iCloud account with the one and only factor, your password. The attacker then has the option to lock your device and request money for the 6 digit key that locks your machine in an unusable state. When using two factor, you would get a message telling you that someone was trying to login and you are prompted to allow or disallow the log in. The biggest downside to two factor that has recently made headlines is the loss of privacy by allowing the service to obtain your cell phone number. If you have noticed an increase in calls to your cell phone asking for student loan help, the FBI trying to reach you, or some other sales pitch, it may be due to the service providing you with two factor selling your number off to third party companies. As you can see, it is a trade off, more security less privacy. That is a very tough pill to swallow, but something we must consider as we navigate the new wave of technology that we live in. Below are some references to the apple articles on two step and two factor as well as a few others for a little more official take on the security methods apple uses. Apple has revealed the latest and greatest in the developer world today, yet again. The day that some look forward to for new features and style changes as well as the day that many an app is absorbed into the OS never to be heard form again. As usual, we can expect the actual release in the fall of 2018, but we always like to play around with the betas way ahead so that you can benefit from us being the scape goat. Here are a few Key items that on each of the platforms that are new or tweaked from prior versions that we are looking forward to. The latest flavor of iOS comes with a few new features I am honestly excited about. Its amazing how our society has changed to spend so much time looking at devices. A lot of that time is spent looking over various social sites looking at the same posts, photos and adds over and over again. This new feature from Apple will breakdown your “Screen Time” so that you can see where you spend most of your time when on your device. I think this is great and will be very telling form some of us. You can even set time limits on certain apps which will be great for the kids and maybe even our selves. We get a few new Animoji’s to play with and now they can even recognize our tong. You can make a personalized Animoji that overlays on conversations in FaceTime or just use the built in characters, the new T-Rex is my favorite one so far. Face time also now allows for up to 32 people in a singe conversation with dynamic movement of the speaker and a row of users on deck. Just keep in mind all participants must be of course on iOS 12, which should not be a problem since 81% of people adopted iOS 11 within a few months of its release last year. Apple purchased an app that was growing in popularity several months ago called workflow and stoped development on the app. Workflow would allow you to basically automate anything you can dream up on the iPhone and have it run with little to know interaction. For example, a simple button to send your ETA for arriving home or grab the album art of an artist you are listening to. Techs like us wondered why they would pull the reigns back on such a great app but now we know. Apple has taken the functionality and given the power over to Siri. It will do all the same and more when you create custom workflows that are triggered by custom commands you give to Siri. Its a nice way to make Siri more useful and allow the user to generate all kinds of great workflows custom built for the way we like to work. Notifications have also changed in the way of consolidation and less annoyance. You can press into the notification to change the way they are received moving forward as well as consolidation of bulk notifications so the screen is not full of a bunch of the same old stuff. The notifications are also hidden when waking up using DND to make looking at your phone a nicer experience than looking at the 50 emails and messages you missed when you try and go to bed a bit early. One of our favorite updates comes with a new name and a new look. 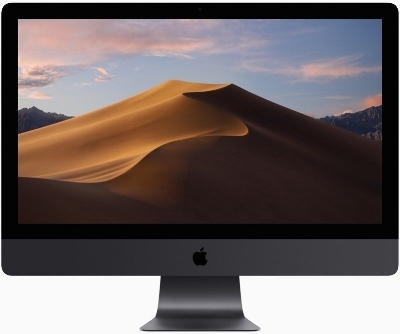 10.14 MacOS Mojave creates a new experience that has long been awaited. Dark Mode. The entire experience, from the desktop to some built in applications like the calendar app, will darken when set in dark mode or even change through the day to reflect surroundings. Stabilization was supposed to be a big focus with 10.14 in typical fashion and so far that seems to hold true. With a few test machines already running the beta, the reviews are all good. Coming off the back of a major underpinning change with APFS Mojave will hopefully bring some stabilization to the Mac. For a long while we have seen the Mac and iOS moving closer together with an inevitable crash and merge, however Apple made it clear that this was not happening… yet. They instead brought the ability to run iOS applications on the Mac directly. This has been a function that was able to be hated in the past with a few random apps and the android installer but now it will be native with the adaption of apps like Stocks and News that will be appearing on the Mac for the first time. Sadly, I was an earlier adopter of the Apple Watch, which is actually called Watch 0 that was just removed from support for WatchOS 5. Looks like I may be in need of an upgrade soon. Some of the new features I will be missing out on include Podcasts directly on the Apple Watch and a Siri watch face with even more details now allowing third party content. One of the features that looks very interesting in moving the world of voice forward is the walkie talkie app on the apple watch. Unfortunately for our testers the app still says that it is being worked on and will be available soon. What can you expect on a day 1 beta?